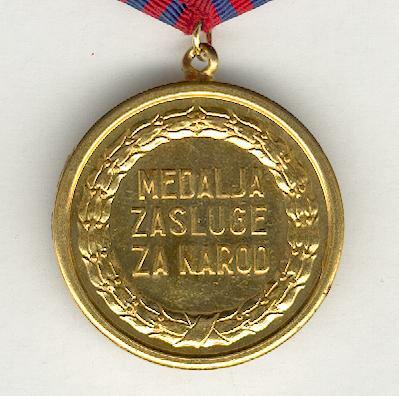 Circular gilt bronze medal with loop for ribbon suspension; the face with a five-pointed star with long and short doubly bifurcated radiant rays between the arms, the full length figure of a soldier centrally, a rifle over his right shoulder, a standard in his left hand; the reverse inscribed ‘MEDALJA ZASLUGE ZA NAROD’ (Medal of National Merit) within a circular laurel wreath; on original ribbon and pentagonal bearer. 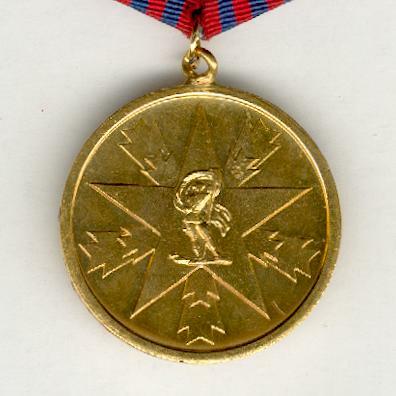 The Order and Medal of National Merit were instituted on 12 June 1945 to be awarded to those who distinguished themselves in the struggle for liberation and for merit in securing and organising the Yugoslav government and army. A decree of 1955 extended its award for achievement in the economic, cultural and social spheres. 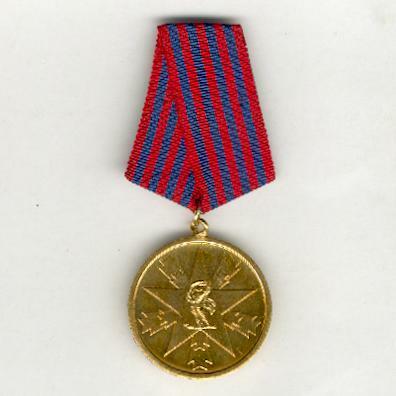 The first examples of the medal were produced by ZIN-KOVNICA of Belgrade with the inscription on the reverse in Cyrillic script. 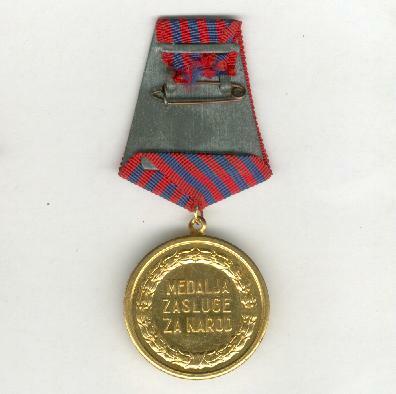 This later example with a Latin inscription is by IKOM of Zagreb but dates from before 1973 when ‘ZASLUGE’ became ‘ZASLUGA’. An excellent example.